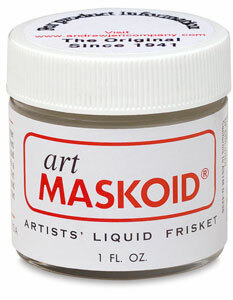 Apply this liquid rubber watercolor mask with a brush to areas of the painting that you want to remain unpainted. Allow several minutes for drying time, then paint over the masking. Remove by peeling or rubbing. Can be thinned with water. Best if used within a year after opening. 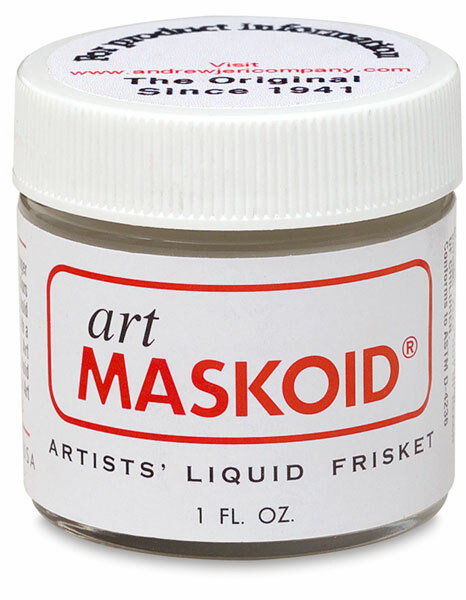 ® Art Maskoid is a registered trademark.